What is a Parenting Plan? | In Law We Trust, P.A. A parenting plan is the written document that describes how the child or children will be cared for after your divorce. Rather than applying the terminology of custody and visitation, the terms parental responsibility and time-sharing are used to describe the aspects of the parenting plan. Florida requires the parents of minor children to make a parenting plan in all divorce cases. In Law We Trust, P.A. 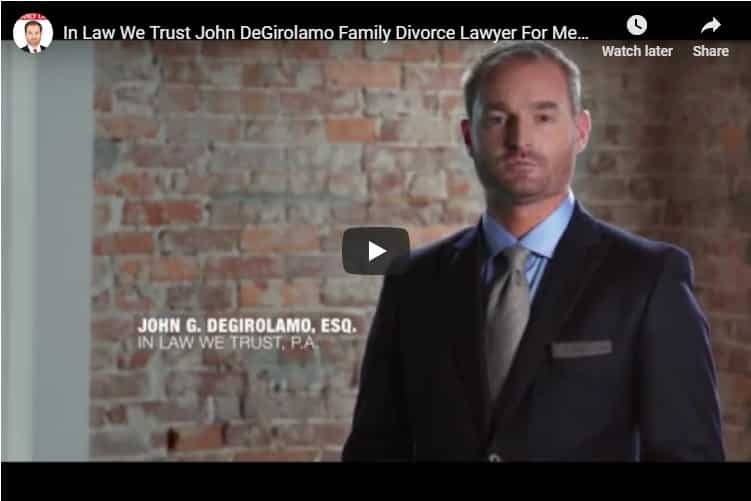 is the preeminent legal firm for men in the Tampa area, and we will assist you in this process in order for you to achieve the best possible result for you and for your children. Parental responsibility refers to the authority that each of the parents will have with regard to decisions about their children’s education, health care, religious instruction, discipline, and various other aspects of their upbringing. In shared parental responsibility, both parents make these types of decisions about the child. The responsibilities can be divided between the parents, or one parent can have responsibility over specific areas. Shared parental responsibility is generally preferred by the courts unless it is determined that it is not in the child’s best interest. Sole parental responsibility is when one parent has been granted the right to make all decisions and does not have to consult with the other parent. The court will only order sole parental responsibility if it has concluded that it is best for the child. The term time-sharing refers to the amount of time each parent spends time with the child, and when that time will occur. You can have sole parental responsibility with or without time-sharing with the other parent. The parenting plan will have a description about how you and the child’s other parent will share or divide the responsibilities and tasks of raising your child. This includes designating who will be responsible for school and extracurricular activities and whose address will be used for determining the school location where the children will attend. It will also include designating who is responsible for health care and religious education. A time-sharing schedule will detail the time your child will spend with each parent, and very importantly, the acceptable methods and technology that each parent will use to communicate with the child or children. It is generally believed that unless it is not in the best interest of the children, each child should have frequent and continuing contact with both parents, and your parenting plan should reflect that as its goal. The court encourages parents to negotiate a plan they both support. When parents agree on the plan, they can submit it to the court and it will only accept a plan that is believed to be in the best interest of the child. The parenting plan becomes a court order when both parents and a judge sign it, and it is filed with the court. If you and your child’s other parent are unable to reach an agreement, the court will appoint a parenting coordinator to help moderate discussions and resolve conflicts about your parenting plan. There will be a fee for the work done by the parenting coordinator, and the court may decide which parent is responsible for the cost. If you and the other parent are still not able to reach an agreement, the court, with the recommendations from the parenting coordinator, will then establish the parenting plan and make it the court order. Do I Need Advice to Help Put Together My Child’s Parenting Plan? Every parenting situation is unique. We understand the importance of the father’s role in a child’s life. Be advised and counseled by an attorney from In Law We Trust, P.A., the Family Law Attorneys for Men. We will discuss factors that affect the best interest of your children and advise you of your rights and responsibilities so that you can play the most appropriate and loving role in their lives. Our expertise in the rights of fathers will ensure that your interests and the interests of your children are protected in the best possible way.